It's a big milestone but the real challenge in the decades-long process to decommission the damaged nuclear plant is still to come. TOKYO, Japan — The operator of the tsunami-wrecked Fukushima nuclear plant has begun removing fuel from a cooling pool at one of three reactors that melted down in the 2011 disaster, a milestone in the decades-long process to decommission the plant. 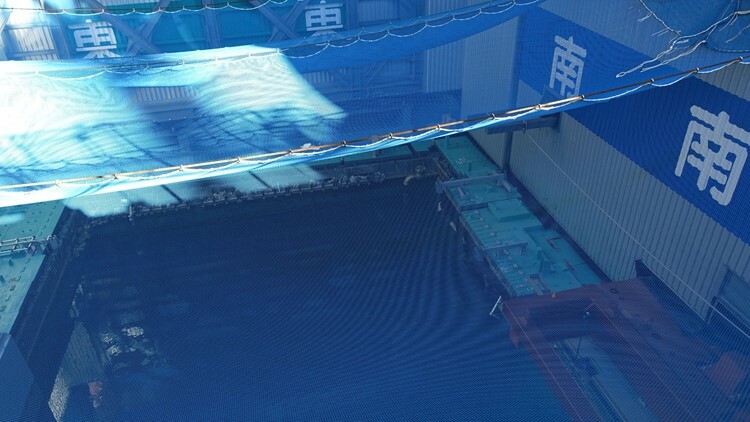 FILE - In this Jan. 25, 2018, file photo, a cooling pool where a total of mostly used 566 sets of fuel rods are stored underwater and covered by a protective net, waits to be removed in a step to empty the pool at Unit 3 of the Fukushima Dai-ichi nuclear power plant ahead of a fuel removal from its storage pool in Okuma, Fukushima Prefecture, northeast Japan.